Happy almost weekend friends, and happy almost first day of F A L L too -- it's tomorrow! :) The temps are still pretty steamy here in Kansas City so I've been doing my best to embrace the season with all the fall prints and colors this girl can get her hands on! 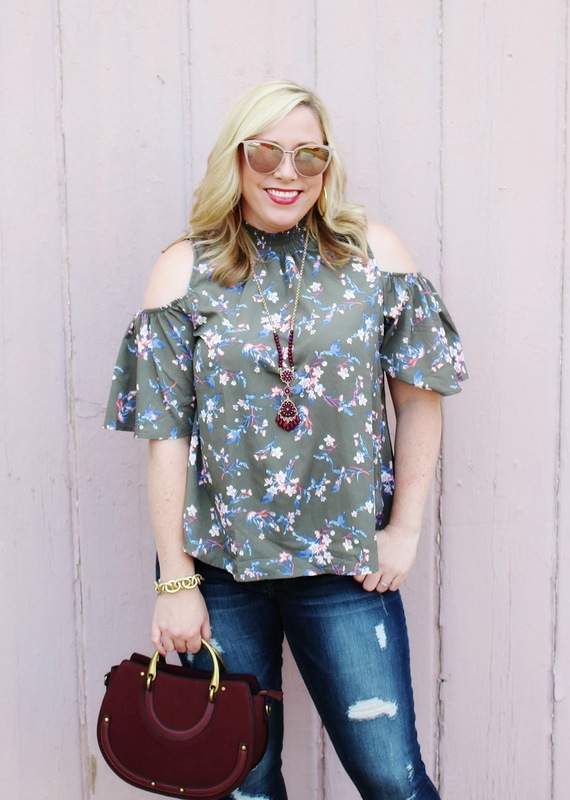 I love pairing olive green with shades of maroon and wine colored accessories like I did in my outfit today! Charming Charlie has an entire featured collection of wine colored accessories this season. 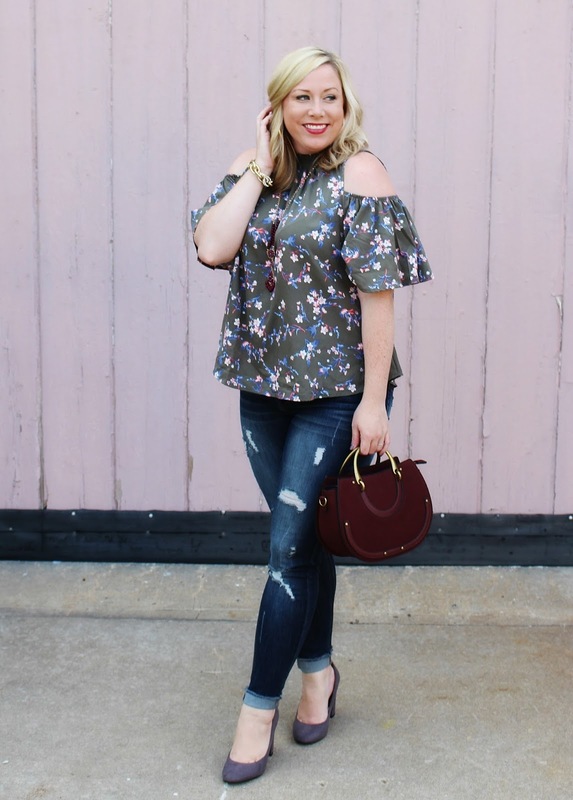 I spotted this gorgeous saddle bag while shopping the stores at Summit Fair this week and knew it would look amazing paired with my olive green floral top! When the weather is still warm, like it is right now, the best thing to do is play up the dark rich colors of fall in your outfits. Olive green is one of those colors that I just can't get enough of right now! Pantone named 'greenery' the color of 2017 and I've seen it evolve into this gorgeous shade of "olive" or "dusty" green for the fall season. 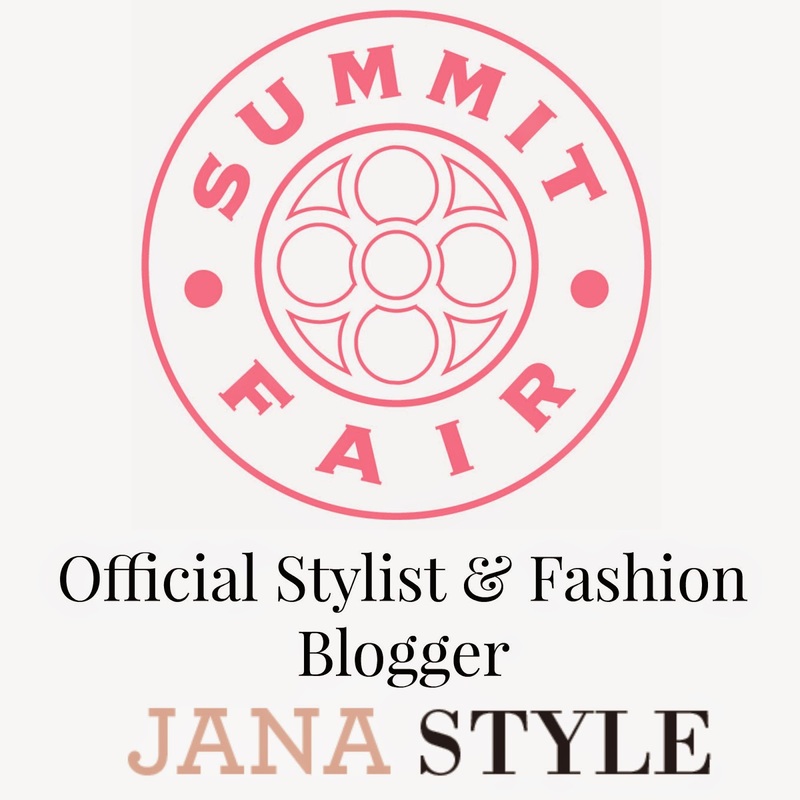 If you watched my fall style segment on Better Kansas City's Morning Show a couple of weeks ago, you'll remember me talking about this. 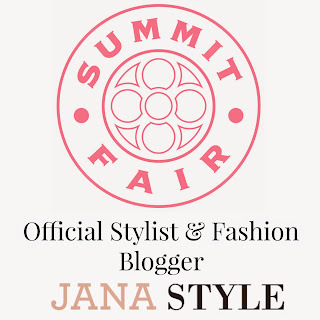 Color is such a key influencer of fashion trends each season and I've already had my eye on the New York Fashion Week color reports for next spring as well. So many of the colors that are trending now are going to continue to evolve into shades that will be at the top of fashion next spring. 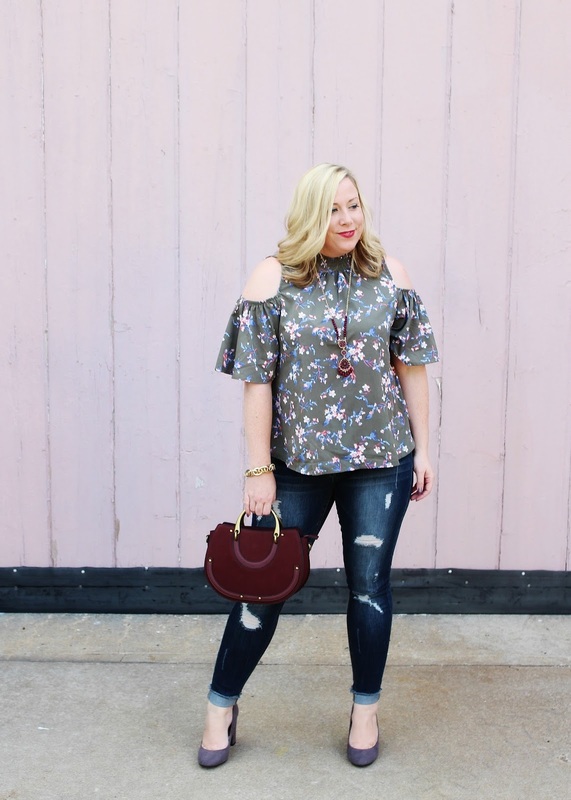 This pretty floral top is great right now but I'm sure it's going to make a comeback into my wardrobe next spring, as I see this color story continuing into 2018. We're so on the same page with the olive! 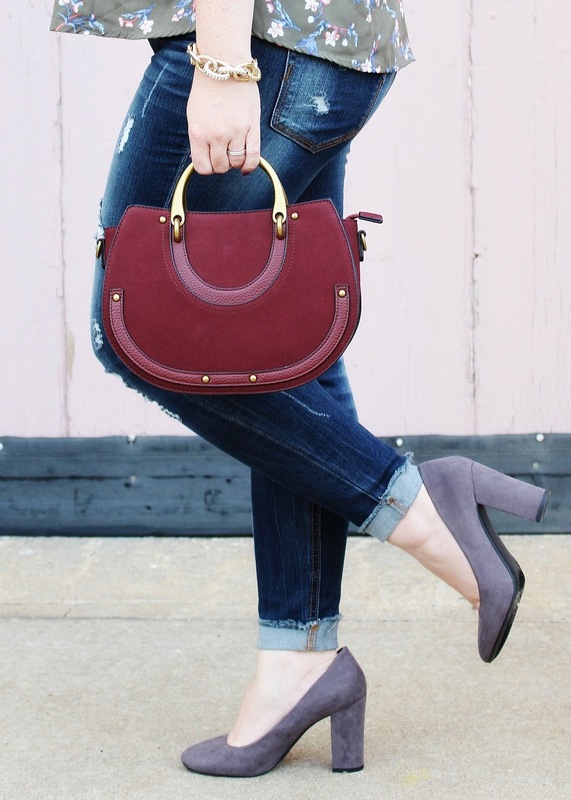 Literally just posted about the color with my new booties :) Also I need that handbag. Such a BEAUTIFUL top on you, babe!! 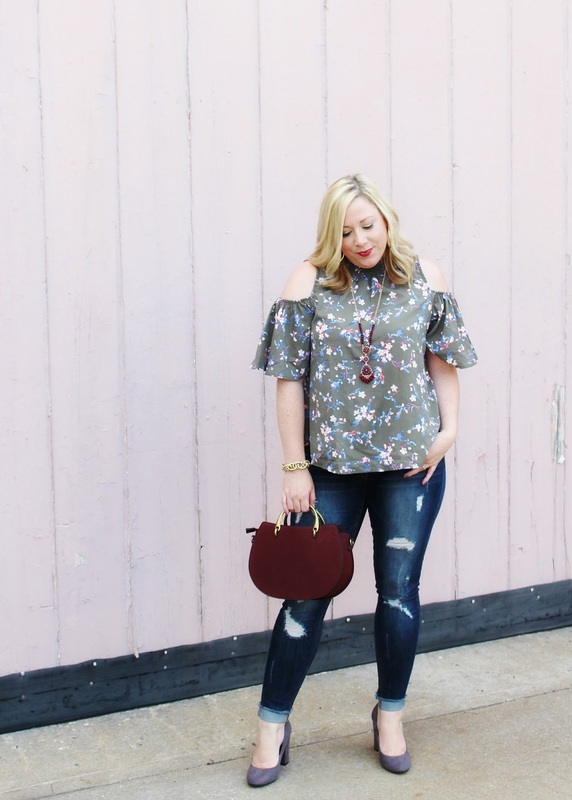 Love the florals for Fall! Your top is so cute! I love the colors!! 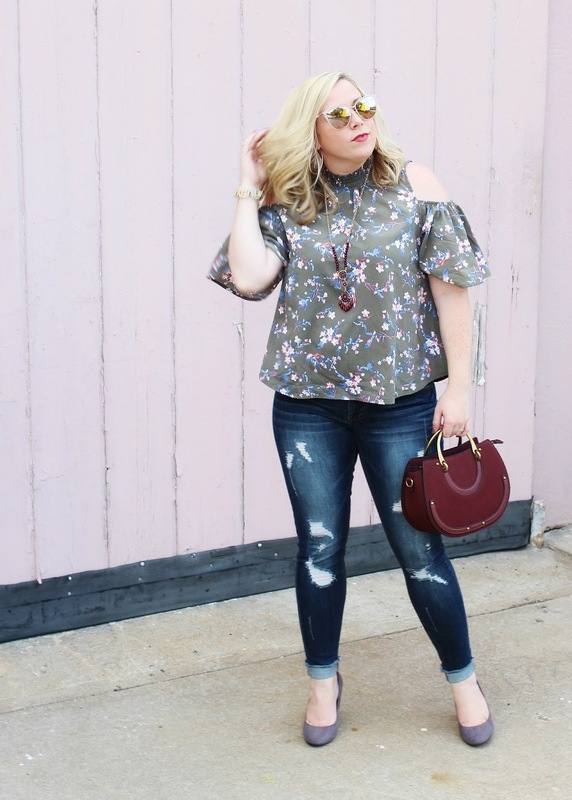 Such a cute floral top! Love the colors! This whole outfit is so cute but I am obsessing over that purse! It's the perfect Fall piece! That top is just gorgeous! I love the colors and that fabulous saddle bag! You look amazing! Thank you Laura! I appreciate that! Charming Charlie has some amazing fall bags right now!